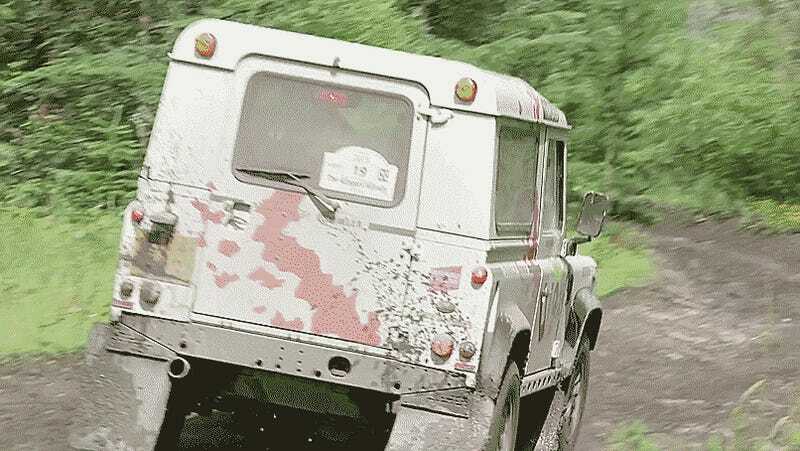 Land Rover Defenders don’t usually go fast. But when they do, they look hilarious, unstoppable, and way too much fun. The Land Rover Defender Challenge Rally Series, just a flock of bricks flying through the British countryside, is continuing. That means there’s more footage of Defenders racing which obviously, you’re going to want to watch. The Defender Challenge is really just one more means for Land Rover to celebrate the end of the iconic little trucklet’s production run. It also looks ridiculously fun, as evidenced by the mile-wide smile on amateur driver Brian Palmer’s face and all these awesome shots of the 4x4s sucking dirt.